Twenty-year-old American gymnast Shawn Johnson is a four-time Olympic gold and silver medalist; a national- and world-champion athlete. Already a popular role model to all ages, in 2009 she captured the national spotlight again when she won on the widely popular Dancing with the Stars. Yet Shawn is no stranger to hard work and adversity. Her loss of the major gymnastics prize everyone expected her to win in Beijing, the all-around Olympic gold medal, was the loss of a dream she’d worked for since childhood. And later, she suffered a potentially career-ending injury in a skiing accident that forced her life to a halt and made her rethink what was really important. She wasn’t sure who she was anymore. She wasn’t sure what her goals were. And she wasn’t sure she was satisfied with where she was with her faith and God. Could she find the right kind of success in life—the kind that doesn’t involve medals or trophies, but peace, love, and lasting joy? 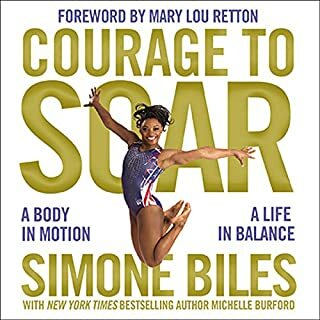 This is the amazing true journey of how the young woman who won an Olympic gold medal on the balance beam became even more balanced. What did you love best about Winning Balance? I loved the fact that Shawn Johnson was speaking from her own experience all the way through the book. 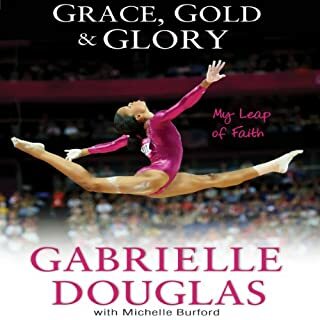 I have read books by other former gymnasts however this book is at the top of my list. My favorite character has to be Shawn Johnson herself. She brings a fresh and exciting perspective to the world of gymnastics and beyond. What does Shawn Johnson bring to the story that you wouldn’t experience if you just read the book? I just love hearing Shawn's voice from the various interviews on television and I was excited to hear that she was reading her own autobiography. Reading her own book adds a special touch to the story. There were some particularly tough and personal chapters and you could hear the inflection on Shawn's voice as she read through those chapters. There were a lot of moments in the book that particularly moved me but I think the one that I remember the most was Shawn's reflections on her potential career-ending injury. I won't say what it is here because I don't want to give away that part of the story. 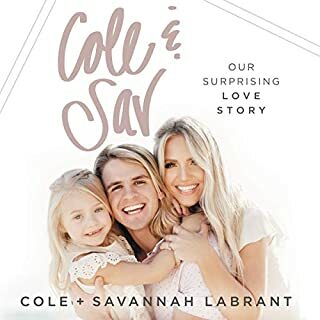 A particularly funny moment in the book for me was the decision that Shawn's parents made when it came time to name her. 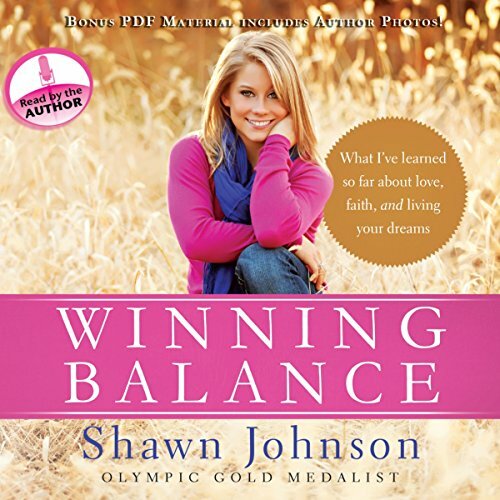 If you are a Shawn Johnson fan you will not be disappointed if you buy the book either in print or through Audible.com ... I have both versions and they are the best value for the money. I loved that Shawn was very open about her insecurities and her doubts as well as how she overcame them. I also liked that her parents were supportive and not trying to live their lives through her. The love and support she had was what she credits for her success. I also liked "getting to know" one of the USA's Olympic Medalists to learn more about what she was really like. Shawn of course. That is who the story centers on but she did justice to her parents, coaches, and other athletes. Have you listened to any of Shawn Johnson’s other performances before? How does this one compare? No, I enjoyed listening to it over a period of several days. I gave this book a 4 out of 5 as I felt like the end left us hanging too much. In an updated version it would be nice to hear where she is now. At the time she wrote the book she was still a bit in limbo. I understand what she was saying is that chapter hasn't been written yet. Perhaps that opens the door for a second book. If so, I will definitely purchase it. Shawn did not have any unusual obstacles to overcome (becoming an Olympic contender let alone a gold medalist is a huge success in itself) but the way she tells the story of no injuries, everyone being nice and welcoming, and very supportive parents, made it sound like her road was easy (yet we know it was not). I wanted to learn more about her obstacles and struggles, as well as doubts that she overcame to get there. I'm sure there were some. The book does hint at one, as her first coach said she had no talent. It sounds a bit like all the other Olympic hopefuls and athletes were all very nice. While I am not a gymnast, I am an athlete and know there is fierce competition. 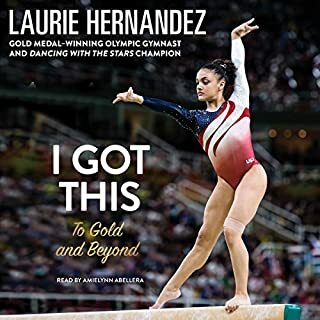 She did a great job of telling how she didn't fit it in at school and how it felt to be teased, and also an incident during Dancing With the Starts, but what were some of the issues that helped build her character in the world of gymnastics. This is the type of information that would be helpful and inspirational to those who aspire to such dreams but run in to people along the way who try to throw obstacles in their way. Overall, I enjoyed the book and I enjoyed Shawn's narration. 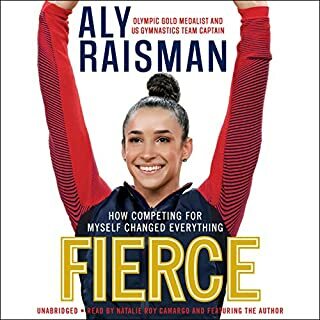 I recommend this book to anyone who enjoys not only gymnastics but also sports in general, or simply enjoys a good memoir. Great insight into an incredible journey! Great to her the author read her work. I loved Shawn as a gymnast and now I have even more respect for her as a person!